As part of its new Summer Nightastic! special attractions for 2010, the Walt Disney World Resort will be debuting a special fireworks show at the Magic Kingdom. Starting June 6th and continuing through August 14th, the new Summer Nightastic! Fireworks Spectacular will light up the night sky each evening at the Magic Kingdom. Bigger And Better Than "Wishes"? It is hard to believe that this fireworks show can be better than "Wishes," but the Disney Imagineers have put together a special show with elements that are usually reserved for special separate ticket events. The show is kicked off by Cinderella's Fairy Godmother telling us that nighttime adds mystery, romance, and magic. Soon she is joined by Aurora's Godmothers - Flora, Fauna, and Merryweather as the the Magic of the evening leads to the skies bursting with fireworks that are synchonized to classic Disney songs. Catain Hook and his band of pirates arrive on the scene intent in capturing Cinderella Castle. You will even see special effects that make it seem like they've succeeded and blown off parts of the castle during the attack. Then it will be time for everyone's favorite Disney Fairy, aka Tinker Bell, to come the the rescue. "Magic, Music, and Mayhem" was the name of the well-received fireworks spectacular for the Pirate and Princess Party that was a special hard ticket event held at the Magic Kingdom many times last year. Some of the best elements of that show are now included in the Summer Nightastic! Fireworks show that you can see with your regular Magic Kingdom admission. There will be many more perimeter fireworks that surround the park that will be used. They really make you feel like you are a part of the show as you are surrounded by the sound, sights, and feel the force of the explosions around you. 0 comments to "Summer Nightastic! 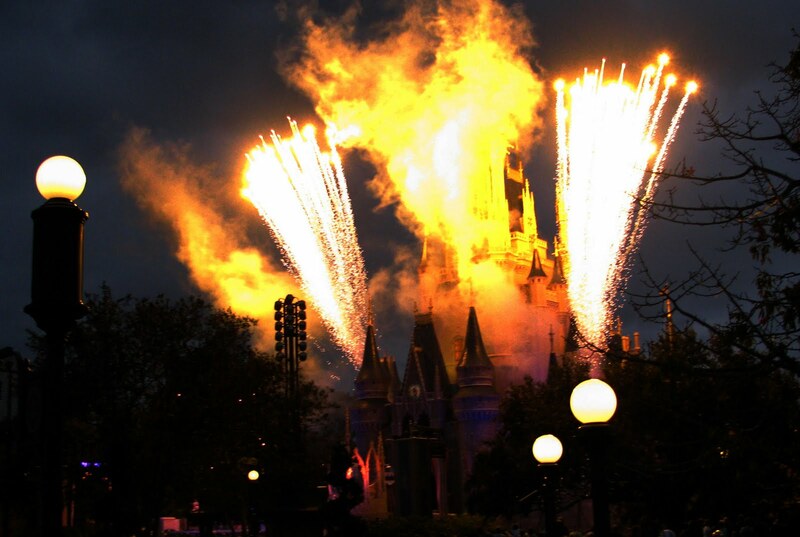 Brings New Fireworks Show To The Magic Kingdom"